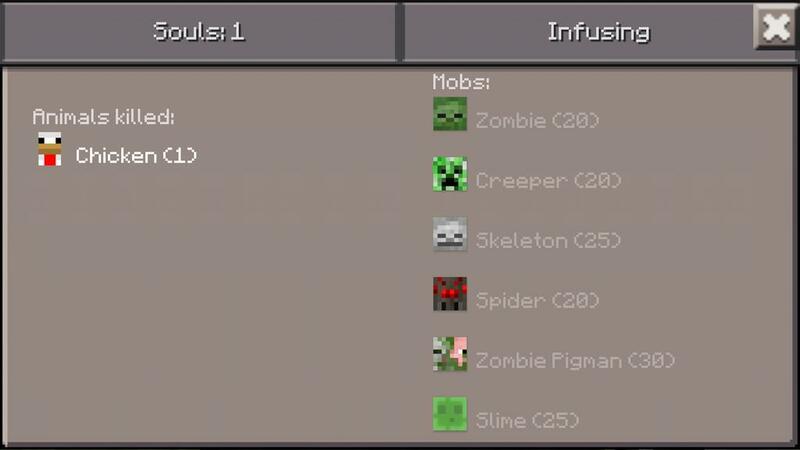 Before installing this Mod, instáll the texture pack, search in my uploads!!! Soul Shards is a mod that I made a while ago but it was never released (I don't remember the reason). To acces the GUI craft yourself a book (normal book) and tap anywhere with it. When you collect enough souls, you can infuse the soul into an egg to get spawn egg.